On paper, the idea sounds questionable: four rock vets with more than 100 years of tenure among them knocking out original power-pop songs about baseball. But the Baseball Project works. For starters, Scott McCaughey of the Young Fresh Fellows and Steve Wynn of the Dream Syndicate have an easy way with a melodic garage-rock song; either could turn a song cycle about, say, surgery into something that inspires toe-tapping. And both are funny enough to capture baseball’s irrepressible spirit and smart enough to know that to linger in its frivolity is to condemn oneself to novelty. So the Baseball Project cleverly finds the gristle and sweetness of life in America’s Pastime. There are exuberant and punchy anthems about two of last year’s World Series-winning San Francisco Giants, but there’s also something wistful and heartbreaking about “1976,’’ inspired by the death of Mark Fidrych. Featuring R.E.M.’s Peter Buck on bass and guitar and Linda Pitmon from Wynn’s Miracle 3 on drums, the group powered through songs from its two albums, including the just-released “Volume 2: High and Inside,’’ recently at the South by Southwest Music Conference in Austin, Texas. There the songs were celebratory, even when sad or tragic. Like McCaughey’s “Buckner’s Bolero,’’ about former Red Sox first baseman Bill Buckner. Ten thousand at-bats and close to three thousand hits . 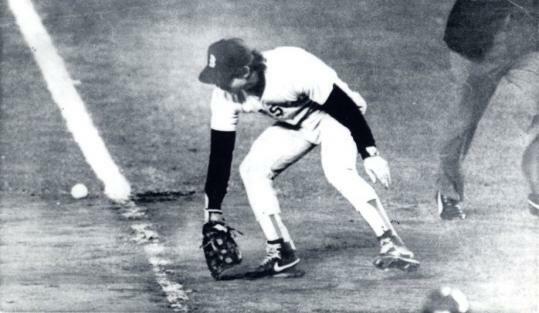 . .
Maybe Bill Buckner was lucky his luck was so rotten.